Neither Soldier 76 nor Sombra are packing the right hardware. Overwatch weapon skins are tired directly to character skins: The only way to change the look of your gun is to change your entire outfit. 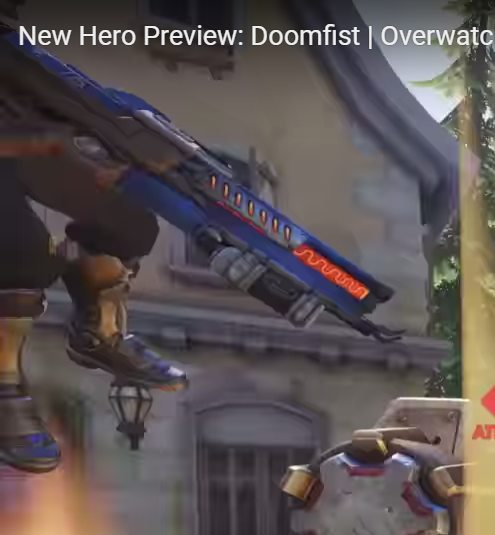 But some sharp-eyed Overwatchers on Reddit noticed a couple of very interesting details in the recent Doomfist hero preview video suggesting that Blizzard is working on making separate weapon skins for the game, and possibly even new weapons. First up, redditor good_samartian noticed that Soldier 76's gun doesn't properly match his uniform in the trailer. It has a glowing red coil embedded in the front of the barrel, like a heater coil, which isn't normally there, as well as front-facing prongs that another redittor, getbackjoe94, said makes it look like a flamethrower. The prongs can be easily seen in this blowup posted by Nyxxic, who also noticed that Sombra's SMG doesn't match up either. 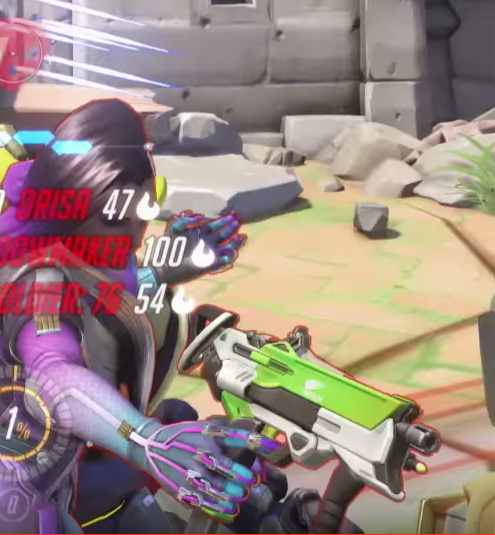 Some people are theorizing that the new weapons are for a new Summer Games-style event, because Sombra's weapon bears a logo that's strikingly similar to one used for last year's Summer Games skins (you can see it on Zarya's shoulder and Tracer's headband in this Overwatch Wiki image). But the 2016 event played on the 2016 Summer Olympics in Rio, and as far as I know there's no equivalent happening this year. It's possible that Blizzard is playing a very long game here (PyeongChang 2018 or bust!) or that it just threw the logo on to break up the flat green on the grip. But a better theory is that it's looking toward enabling players to select weapon skins independently from their outfits. Character skins are enormously popular, and so it makes perfect sense that stand-alone weapon skins would be too. It would also be something new to stuff into loot boxes, which you can never have too much of, and it would open up even more avenues for special event rewards. Sombra's SMG, for instance, would be a way to make Summer Games memorabilia available to all players, without taking away the "exclusivity" of items earned during the event. It's a good idea, right? And even though the support for the theory is about as tenuous as it gets, there's very little that Blizzard does (publicly, at least) that isn't intentional. My gut feeling is that the community was meant to see these things—exactly why is impossible to say, but I'll be very surprised if there's not something cooking here. I've emailed Blizzard for more information, and will update if and when I receive a reply.